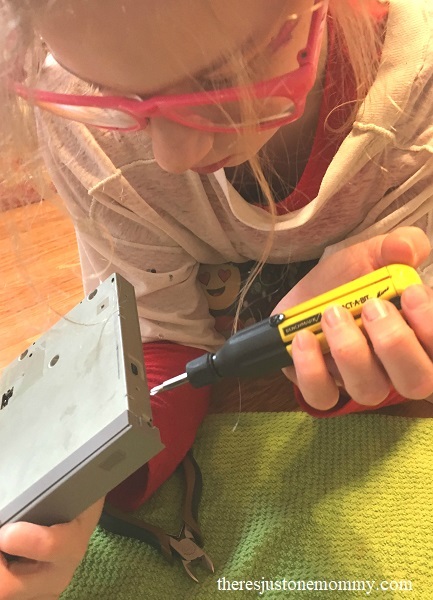 Your Kids Should Be Taking Apart Electronics! It all started with an old computer mouse I found while decluttering the drawers of the computer desk. I was about to put it in the “donate” bag, when I saw its bigger potential. Kids love taking things apart, and mine are no exception. Dead batteries? They go running for small screw drivers, excited at the possibility to unscrew the object to remove the batteries. I knew they would love taking the old computer mouse apart! That was just the beginning of taking apart electronics with kids. The rest of the day was spent taking apart computer parts and other electronics in their new favorite upcycled STEM activity. 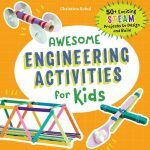 After all, not all STEM activities have to involve building something; you can learn a lot from taking things apart, too! Affiliate links have been provided below. Click here for my full disclosure policy. 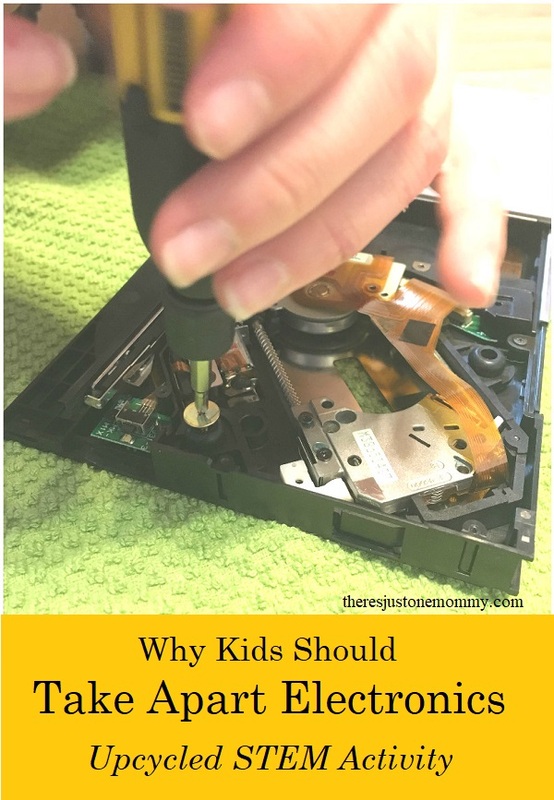 Taking apart computer parts and other electronics can be lots of fun, but you also want the kids to be safe, which is why I strongly suggest that parents supervise the activity closely. You’ll also want to provide kids with safety glasses — you never know when small springs and other parts may go flying. Also, consider removing all batteries ahead of time as well as power cords. 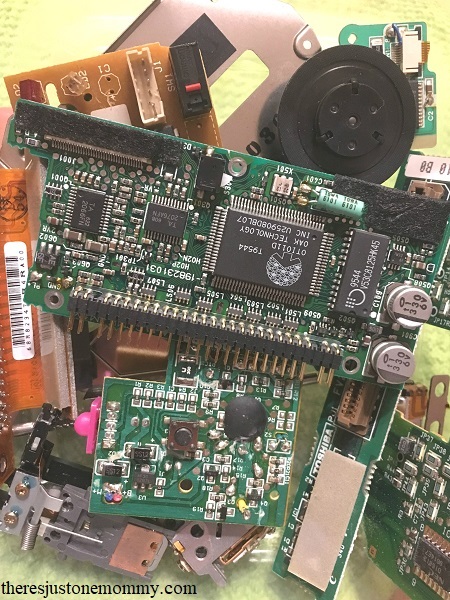 Old, out-dated computer parts, like that old computer mouse, floppy disk drives and old CD-ROM readers are perfect for this activity. If you don’t have any on hand, you probably know someone who would gladly give you these old parts. You can also find parts at places like the Goodwill store. Old televisions, microwaves, and cell phones should not be used for this as they contain a lot of glass components. Broken electronic toys are also fun to take apart. 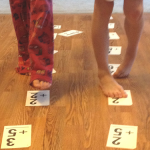 My daughter got a kids’ sewing machine as a gift, but it didn’t really work. Instead of donating it somewhere and making another child frustrated by its inability to actually sew, she decided to take it apart. She had fun dismantling it and learning what was inside, including a small motor. Checking out all the tiny gears and seeing how they connected was truly fascinating. 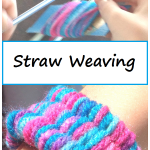 Once they started this upcycled STEM activity they just couldn’t stop! We found an old floppy disk drive and out-dated CD-ROM player to take apart next. When taking apart electronics, having a variety of small screwdrivers is a must. You may also want wire cutters, needle nose pliers and tweezers on hand to help with tiny parts, plus a tray or bowl to hold small parts. 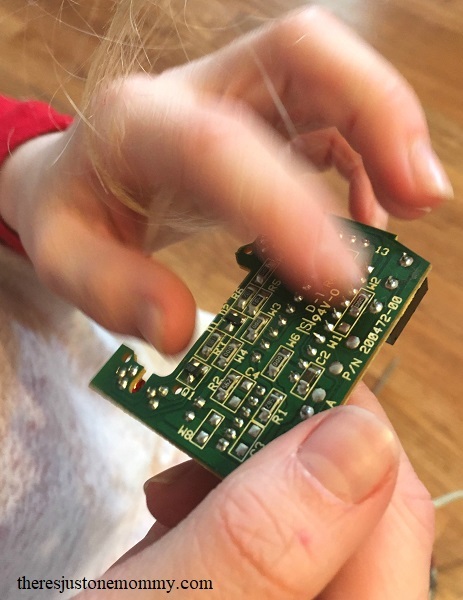 Why should you let your kids take apart electronics? First of all, it’s in their nature to learn about the world around them by exploring. 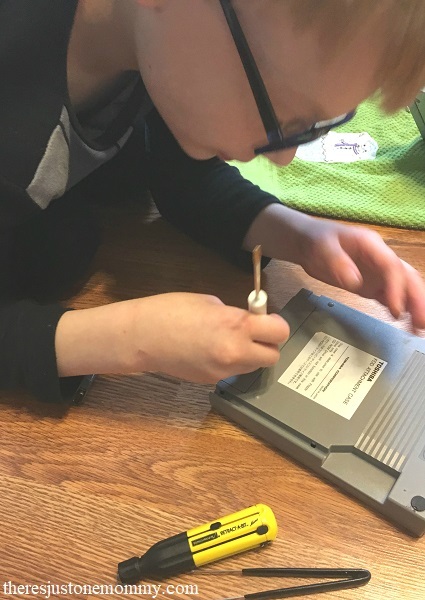 By letting children take apart old computer parts they are fulfilling that natural desire while learning about what makes those parts work. 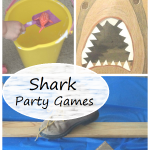 They will find small springs, motors, and magnets to explore and learn about. 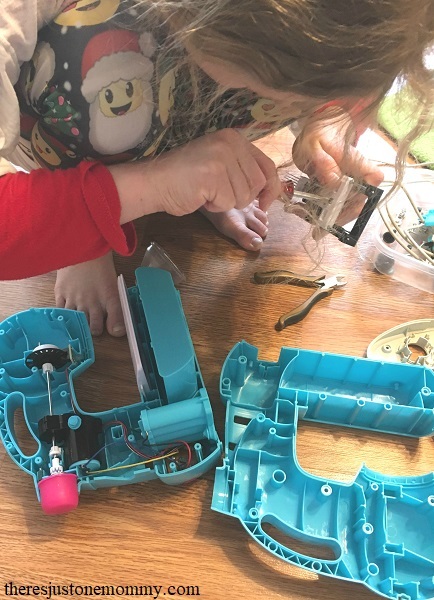 Another reason to encourage your child to take apart old electronics is that while they are removing all those tiny screws and components your child will be improving their manual dexterity, fine motor skills, and hand-eye coordination. 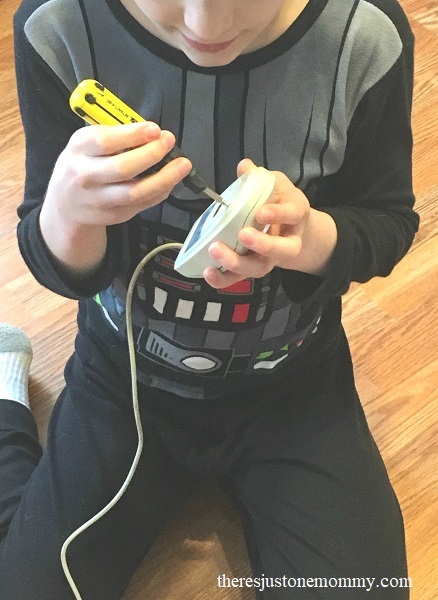 And finally, you should let your child take electronics apart because it’s fun! Seriously, you will find yourselves fascinated by the tiny components inside. 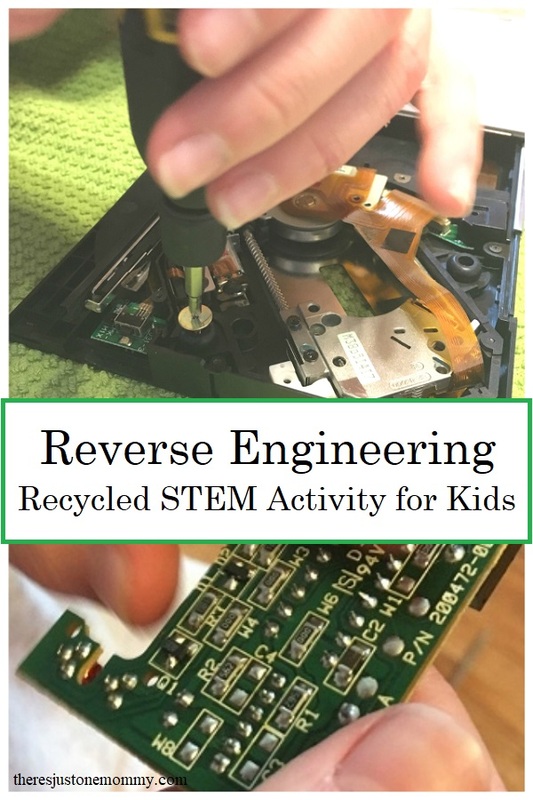 Taking apart electronics with kids may just become your favorite STEM activity too.